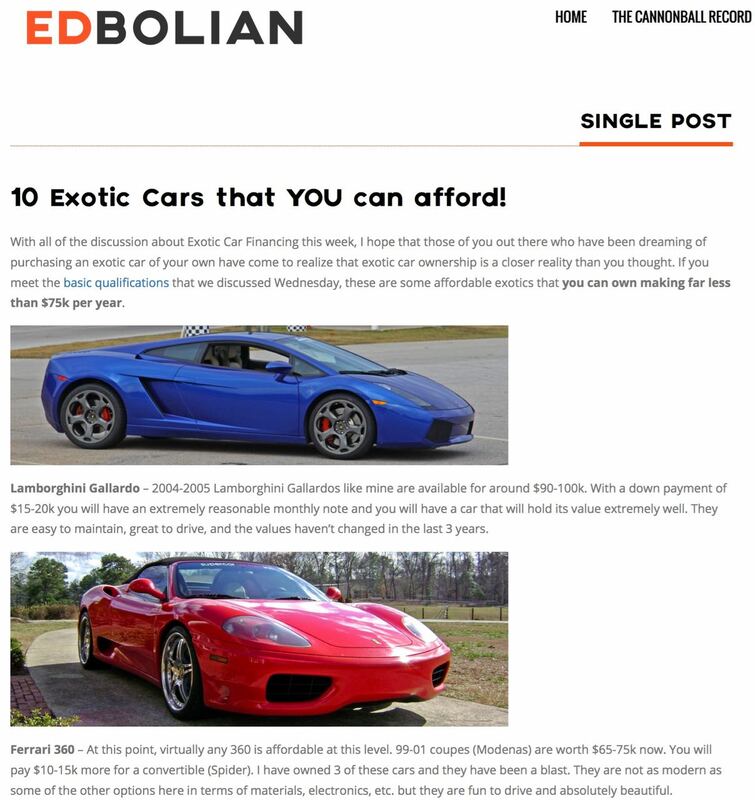 I was reading through some posts that I had highlighted over the last few months and came across one by a guy named Ed Bolian. He appears to be quite the car aficionado, having owned an impressive list of exotics over the years. One of the things I really like about his site are the posts about the accessibility of exotics most of us feel we can only dream about. Some cars that are sure to make any car person drool. 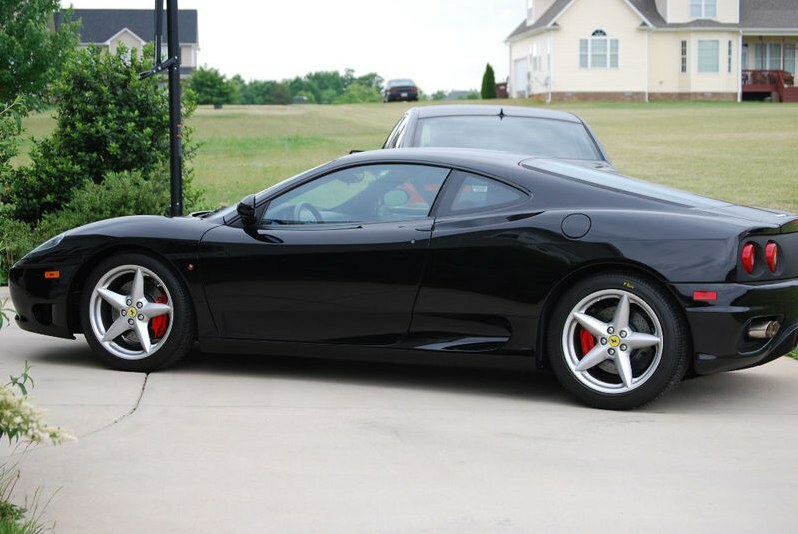 In particular, I love the Lamborghini Gallardo, Ferrari 360 and my favorite the Porsche 911 Turbo. All of those cars minus maybe the Viper and Corvette would be on my shortlist to own for a period of time. Ed makes a great point about owning these cars. Even with a $1500 to $3000 maintenance bill for something in need of repair, you’re still going to end up with a car that holds more of it’s value compared to a new car, or one on the more practical side of things. Check out Ed’s full post and thoughts on each car by visiting the link above. 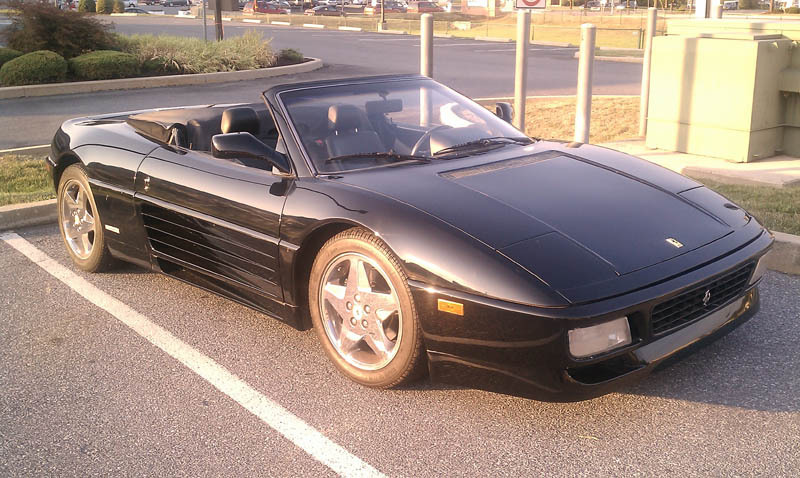 One heck of a cool car at a great price for a Ferrari 355. 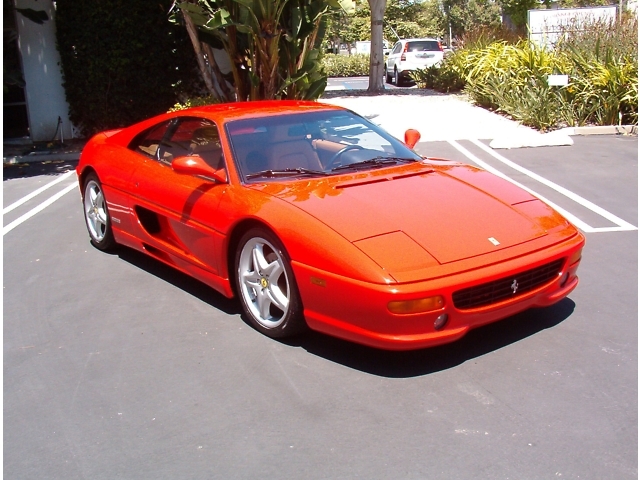 This is a Red with Tan interior Berlinetta Coupe with 21k miles on her. Car looks well maintained with recent 30k engine out service (translated EXPENSIVE) done. Tubi exhaust, manuals, carpets, etc. It does have a few things that need to be fixed, but there’s room built into the price for that. 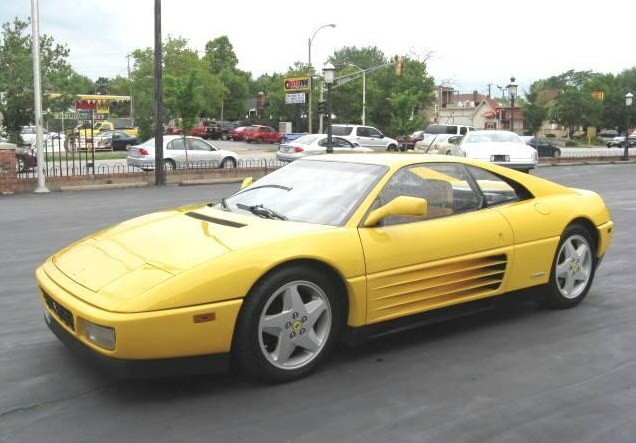 You don’t see too many yellow Ferrari 348’s around. 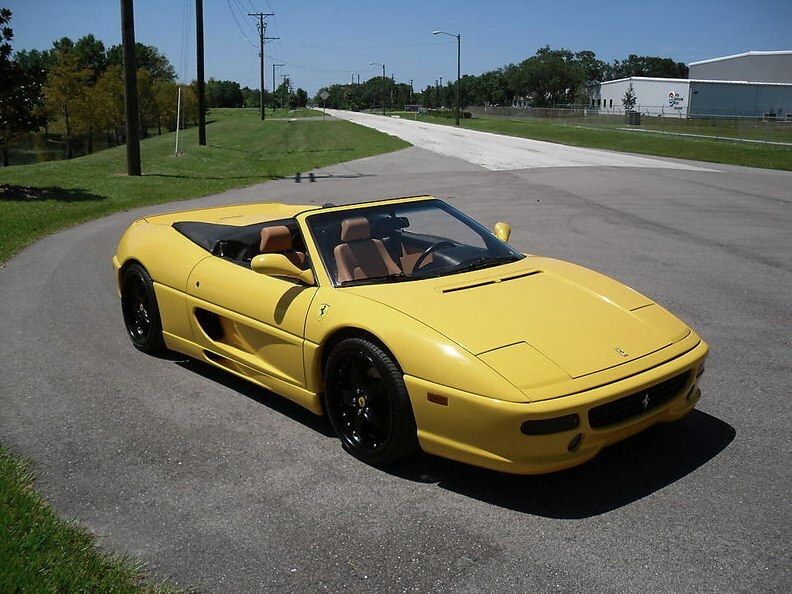 This one happens to be a 1989 Ferrari 348 tb Coupe in yellow with tan interior. 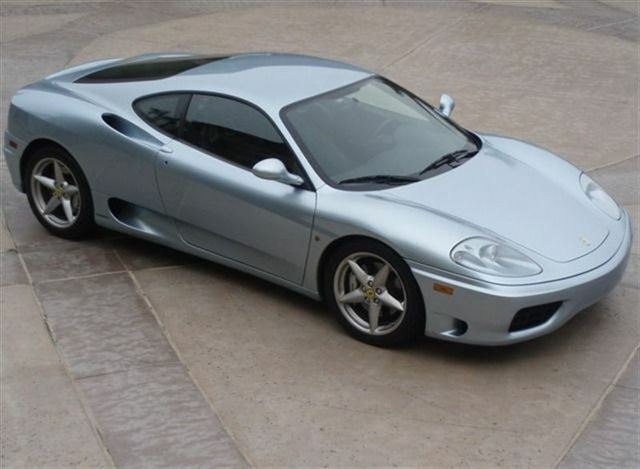 A great looking Ferrari with only 54k miles on the odo. According to the ad, it comes with extensive service records. Also has the toolkit and manuals. 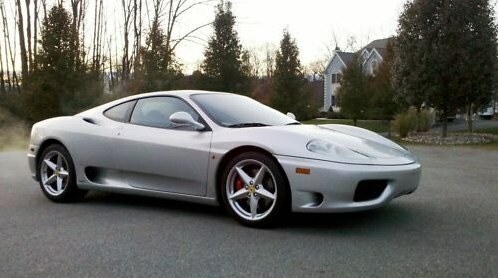 This is without a question one of the most handsome and sensible Ferraris one could ever desire or find. 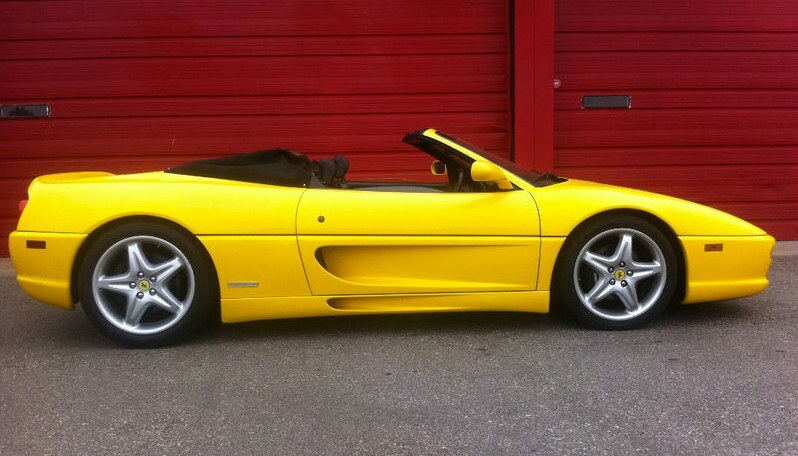 It is finished in a flawless fly yellow with impeccable (and rare) tan leather interior and perfect headliner. It is powered by a 3.4L V8 fuel injected DOHC 32V engine and has a manual 5 speed gear change. No accidents, it has a clean Carfax and has been exquisitely kept both mechanically and cosmetically. Tools, books and extensive records included. The colors of fly yellow with a deep tan leather interior are one of the most beautiful combinations to emerge from Ferrari. It has gone only 54,601 certified miles and a finer example of the great marquise could not be found and is for the true connoisseur. Starting price on the auction is $34,000 with a Buy It Now of $35,000. 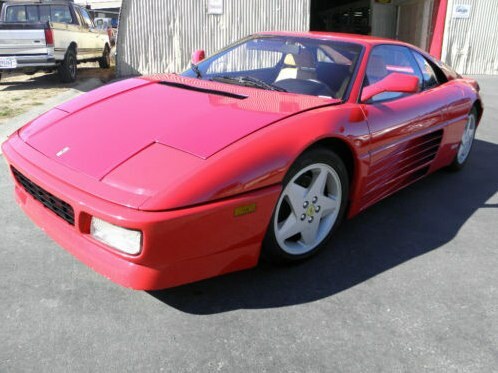 I’d be tempted to email the dealer and offer $30k if the auction ends unsuccessfully.